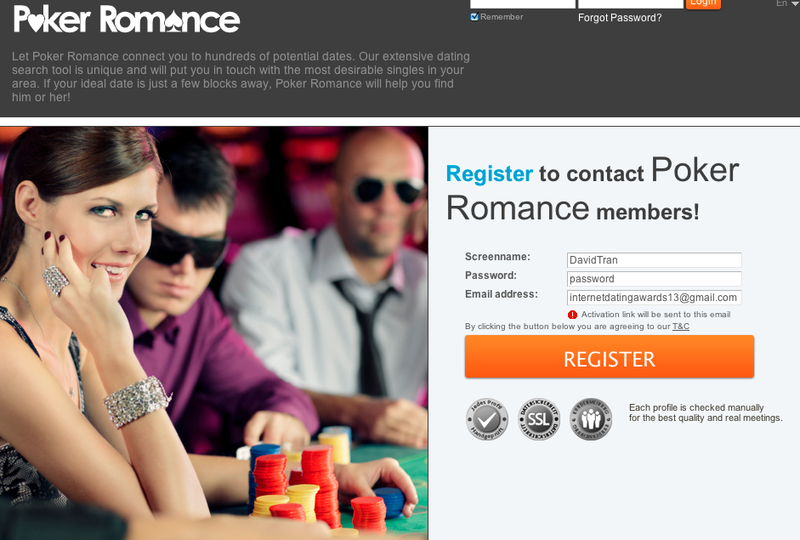 PokerRomance.com is a new Internet dating website that at-first glance seems catered towards a specific small niche group of people who are poker enthusiasts. If you are a poker player then this site will mostly just be a disappointment since there really isn’t anything about the site that caters to lovers of the poker table. More than anything the site is just another mediocre dating service that has one unique quality, its name. When establishing your profile there isn’t even one question related to anything about poker whatsoever and if not for the site’s name you would have no clue that PokerRomance.com had anything to do with poker. I wasn’t particularly clear on how poker had anything to do with dating when I first discovered the site, but myself being quite a fan of the game I was excited to see what the site had to offer. So you can imagine my disappointment when it failed to deliver on its promise and turned out to be another basic run of the mill dating site. - The site will let you know who’s online then so you can start communicating with other members right away. - The site shows you which members are celebrating birthdays, I’m not really sure why they do this and how it has anything to do with online dating? Unless they suspect members will take advantage of people who are depressed and upset about getting older and strike when the beast is at its weakest? If so that a horrible feature if the site! - Browse member profiles by New, Online, VIP and for some reason Birthdays? - Profile pages display what they call a “Guestbook” which is a list of messages and comments other members have posted to that member. It’s mostly a list of pathetic attempts from men in an effort to hook-up with a female member. A perfect example being ” do also realise how beautiful u are?you r for sure without stain.i love u” or “God creatand an superwoman, you are an superwoman.” I wonder if those ones ever worked? - You can send a member an email, card, wink or you can request to start a live chat online. - If you have friends on the site you can send them a link to someone profile page if you think they might be interested in a certain member. The membership upgrade is provided for a reasonable price, as low as $8.95 a month if you purchase a 1 year membership, but if you want to take full advantage of the site and communicate with all its members then you need to also include the VIP upgrade which is an additional $14.90 per month. 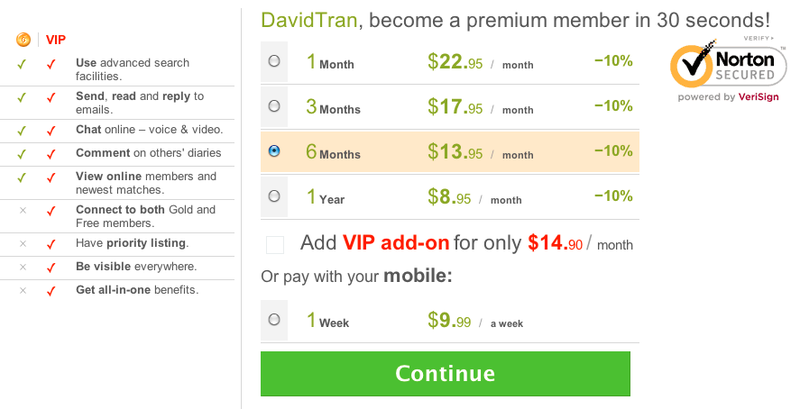 This would make the total of the minimum membership $23.85 per month, not such a good deal after all it seems. For a site that’s called PokerRomance.com it’s a pretty safe assumption that the site is going to have some features specifically geared towards poker players, but that’s not the case at all. I thought they would at least ask some poker related questions during the membership set-up such as “What’s your favorite poker game? Hold’em, Omaha, Stud” or “How often do you play poker” even “Where do you like playing poker? With friends, at a casino or in tournaments?” but there wasn’t even one reference to the game whatsoever. The site also constantly has the same pop-up bother you about upgrading and that you only have a few days left for a promotion that gives you the ability to send all members messages. I used the site on three separate occasions and each time it told me I only have 3 days left so I’m not sure if this promotion really ever expires. I also did a search and got a list of members that I noticed had high number of results that didn’t have any pictures at all. 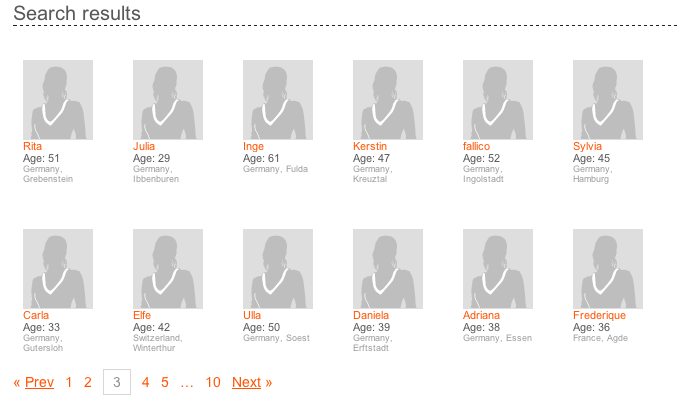 The results also weren’t really what I asked for, giving me a list of members from European countries. That might be a bit far for me to travel for a date with a woman I’ve never seen a picture of. You also are unable to respond to messages without upgrading your membership, this isn’t anything new when it comes to online dating sites, but they don’t even allow you to send a message to a member without upgrading your account first. If you do receive a message form a member the site will only save the message for two days with a trial membership, unless you upgrade your account of course. So if you don’t regularly check back to the site you could completely miss an opportunity to go on a date with a member or even worse. In conclusion the site for me was nothing more than a major disappointment. I was excited to learn some information about members interests about poker (where they learned the game, how often they play, where they like to play and what’s their favorite game) so I was pretty disappointed when the site had essentially nothing to do with poker what so ever. The site ended up being a boring and mediocre dating site that provides nothing original or innovative. Your money would be best spent on a long list of other sites that provide better features for less money like SocialSex.com, EroticAds.com or SexSearch.com. Stay clear of PokerRomance.com and don’t waste your time to be left feeling disappointed like I was.